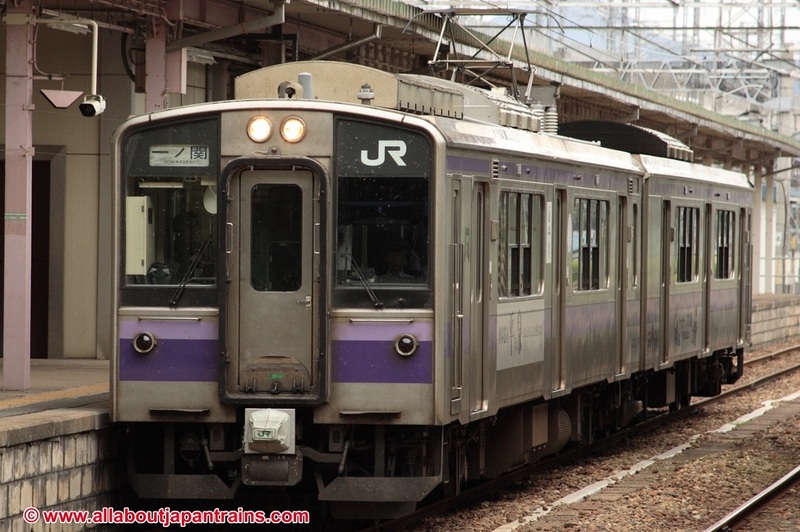 The 701 Series is a three-door commuter-type electric multiple unit developed by JR East as the new standard commuter train for Northern Japan. 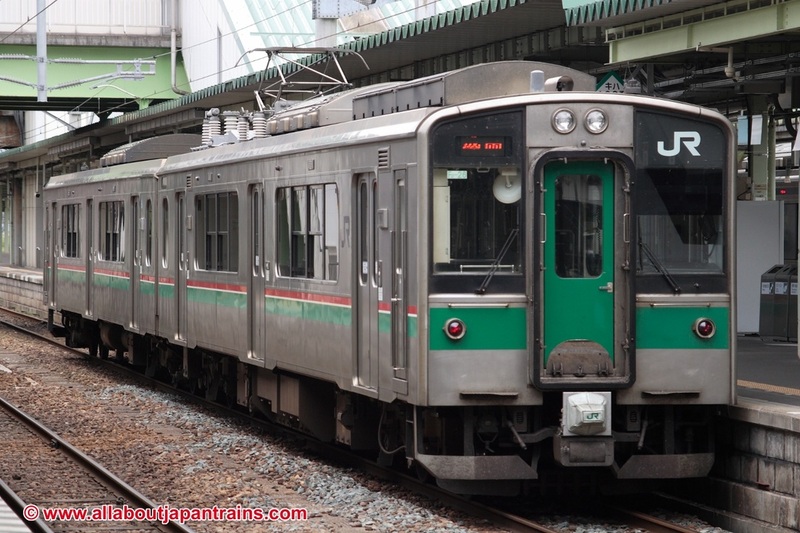 Up until the early 1990s, many of the commuter trains in Northern Japan were still locomotive-pulled passenger cars. The few EMUs that did exist were mostly low-cost stopgaps created by modifying unused sleeper trains such as the 583 Series. 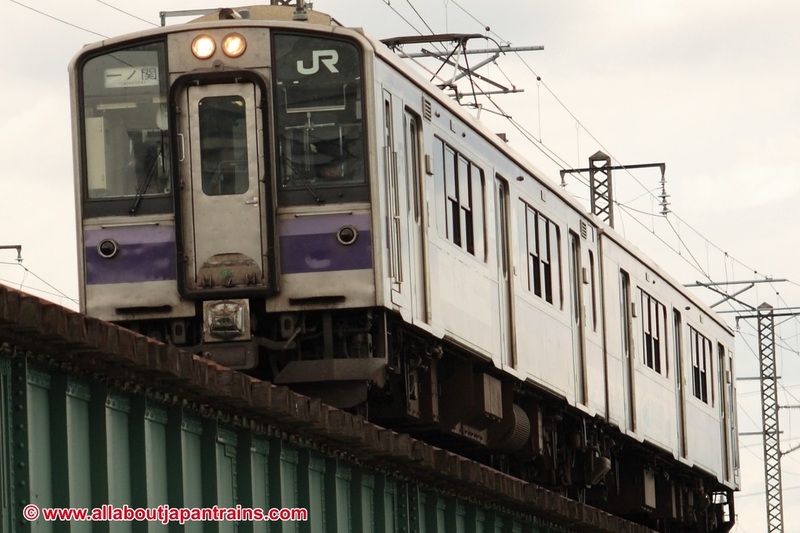 To solve this issue, JR East built a new train based on the economic 209 Series. Known as the 701 Series, this train has come to be operated on nearly all the main lines in Northern Japan. All trains use variable frequency drive with the earlier models using power transistor elements and later models using IGBT elements. 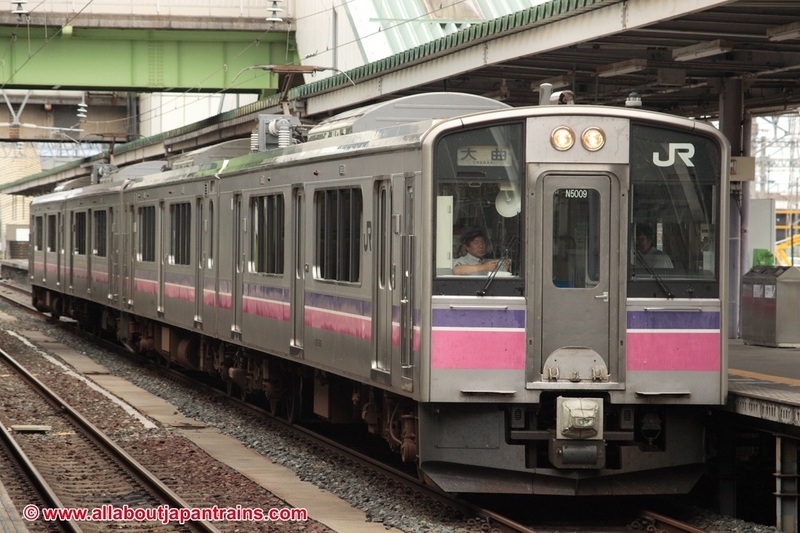 Updated trains have also been given IGBT elements. Early models were all built with lengthwise seating, but due to the long distances these trains have to run, many were later built with crosswise seating. The 5000 Numbers were built to operate on the Tazawako Line which was widened from narrow gauge to standard gauge when the Akita Shinkansen was opened. The 5500 Numbers are also standard gauge and were built after the Yamagata Shinkansen began operating on the Oou Main Line. The 701 Series has also been adopted by the Aoimori Railway Company and IGR Iwate Galaxy Railway Company, both of which are both third-sector railway operators. Production of the 701 Series has ended but it continues to be the mainstay on many lines in Northern Japan. The newer E721 Series is seen as its successor in production.